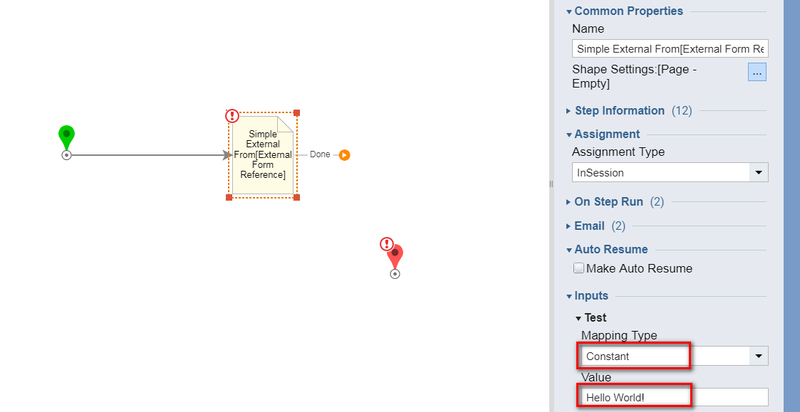 This tutorial demonstrates how to use External Form Reference	in Decisions . 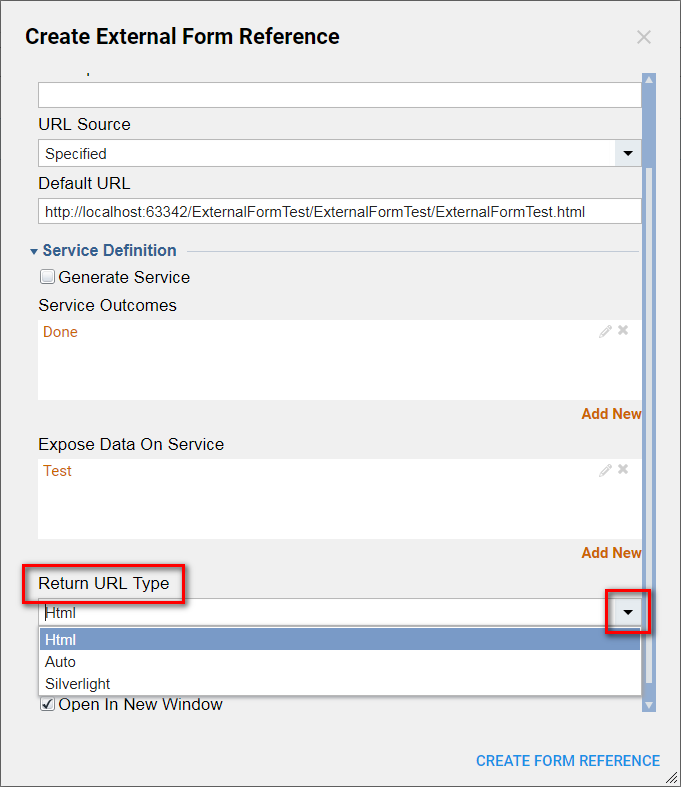 External Form Reference feature introduced in Decisions 4.0. 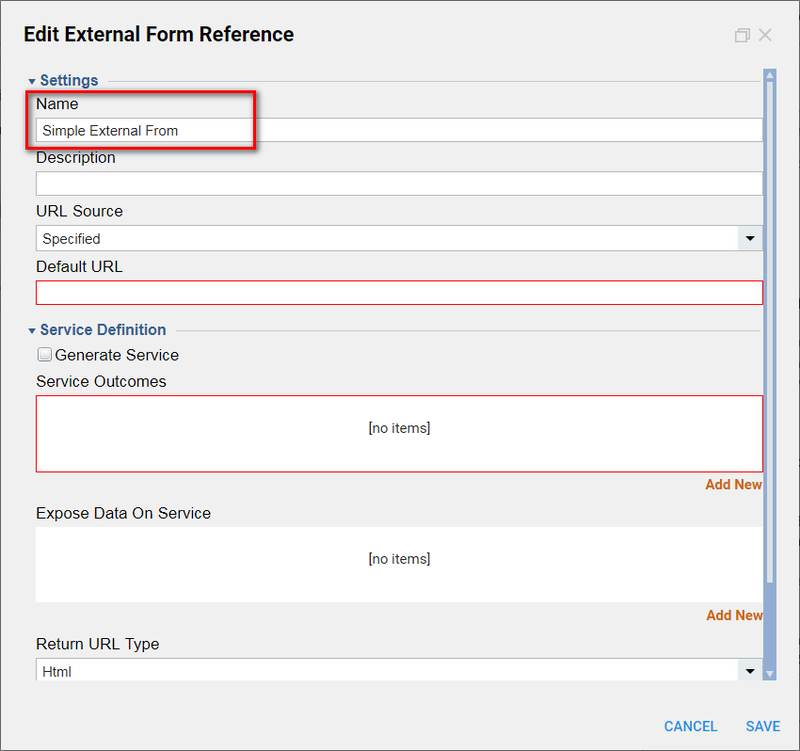 This feature allows workflow designers to create a setup for External Form and save it as an Entity . 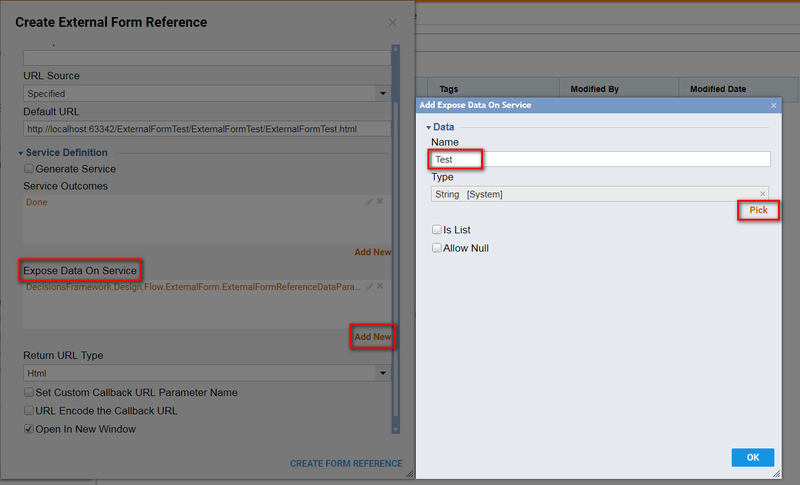 Then, this External Form Reference may be reused in different Flows . 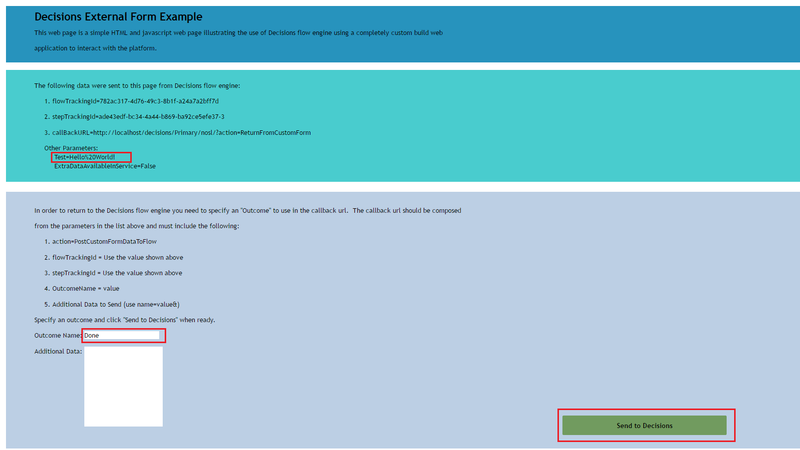 In this example we are going to create an External Form Reference	and demonstrate how to use it in a Workflow process. Note:	in this example we are going to use a simple External Form from the following document . 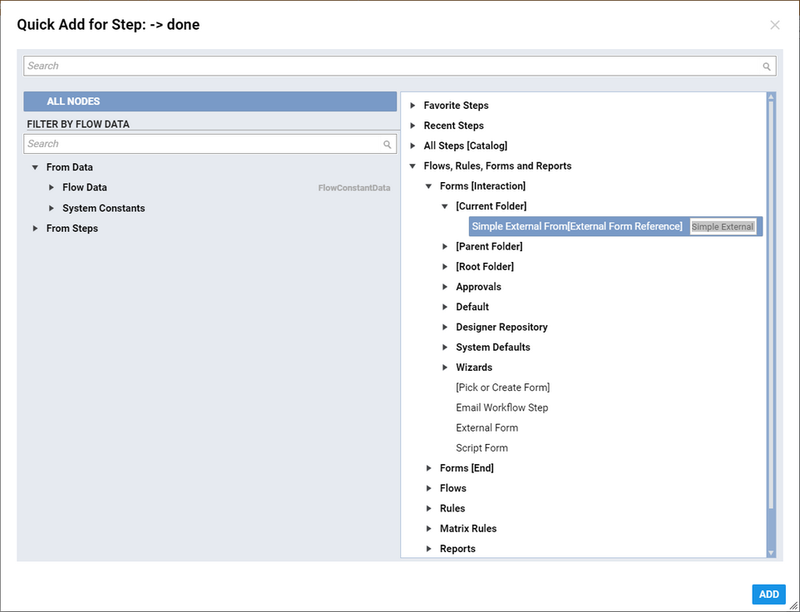 We begin in the Designer Folder with clicking Create Form > Create External Form Reference	on the Folder Actions Panel. 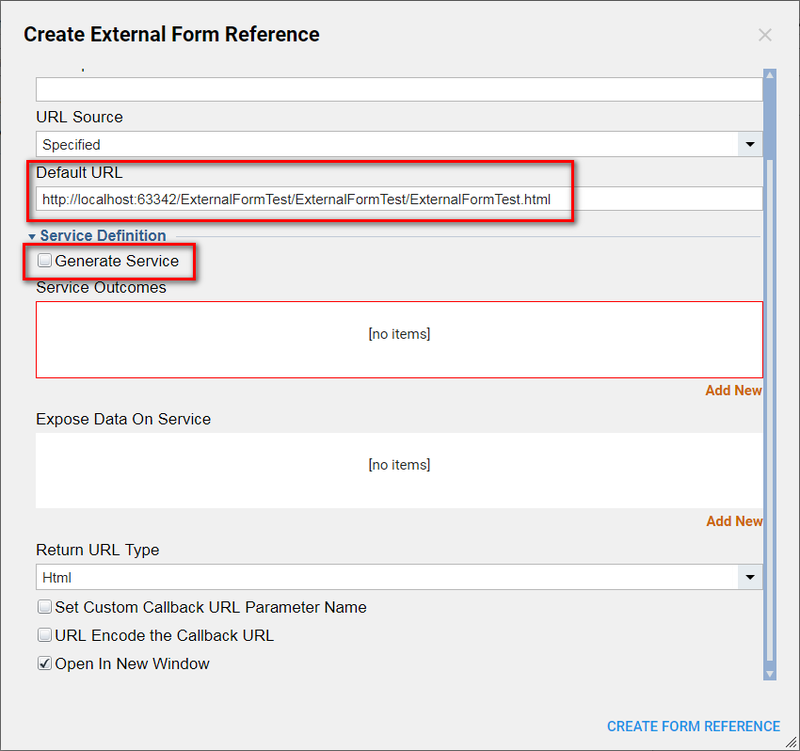 In the resulting window we Name	ourExternal Form Reference . From the URL Source	drop-down we may pick Specified	(hard-coded URL) , FlowInput	(URL from Flow Data) , or FlowConstant	(URL from System Constants) . In this example we pick Specified . Then, we provide Default URL	for our External Form. 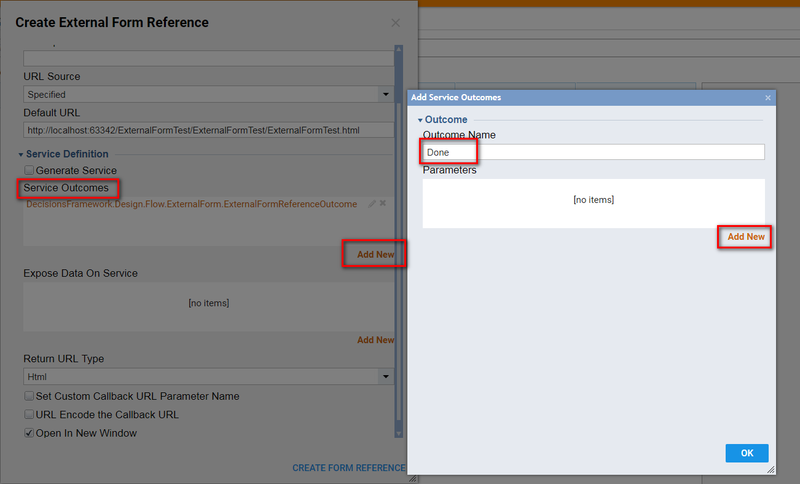 Under Service Definition	we can check Generate Service	checkbox if we need system to generate Service for the Form . Under Service Outcomes	we need to define at least one outcome from our External Form. We may also provide several outcomes. We clickAdd New	to define Service Outcome . In the resulting window we provide Outcome Name	. Mention, we may define Parameters	for the Outcome if we expect our External Form to return some data. When finished we click Ok	to save the Outcome and continue. 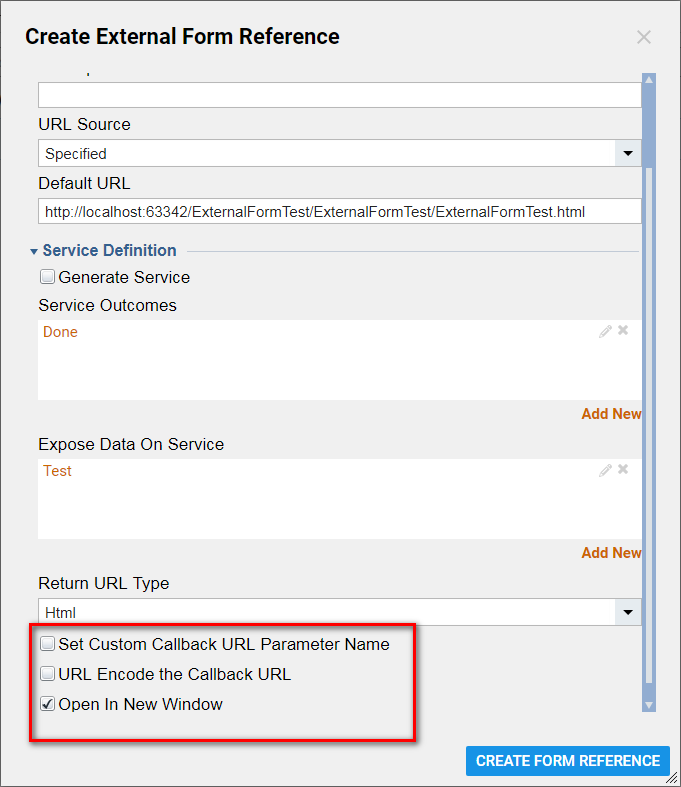 Under Expose Data On Service	we can define data that we need to send to the External Form from the Workflow . In this example we simply define Test	(String) to send to the External Form. From Return URL Type	we can pick Html	, Auto	or Silverlight	. When finished, we click Ok	to save our External Form Reference and continue. 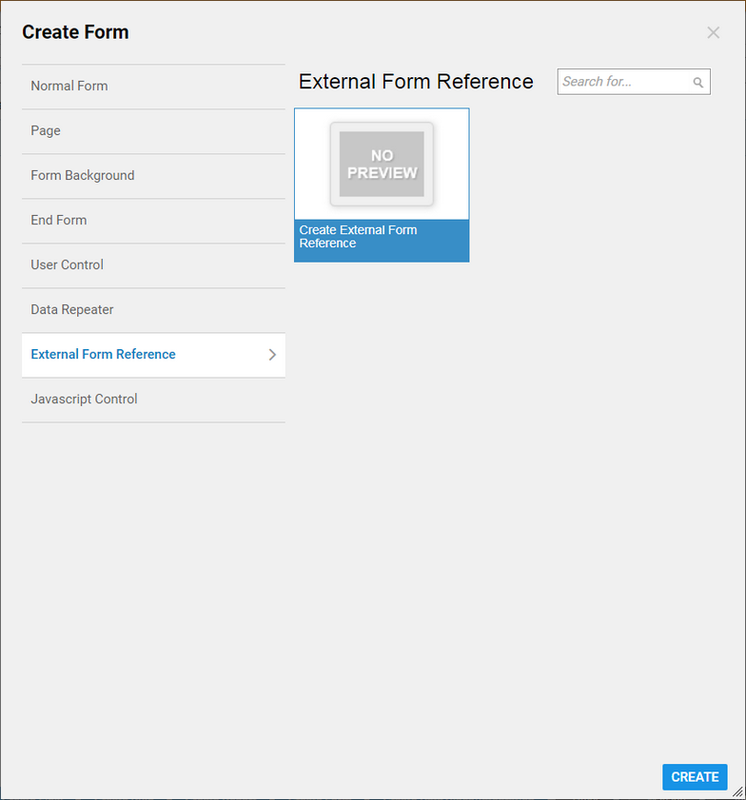 Back in the Designer Folder we can see that system created External Form Reference entity. Next, we are going to demonstrate how to useExternal Form Reference in the Workflow process. We click Create Flow	on the Folder Actions Panel. 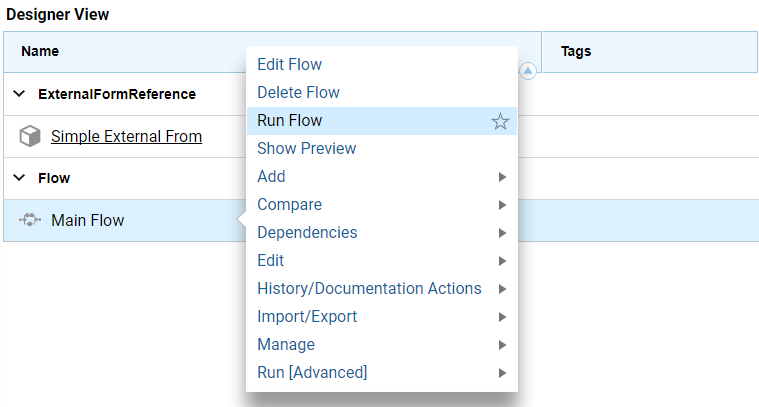 In the Flow Designer we add our Simple External Form	(External Form Reference) from Flows, Rules, Forms and Reports > Forms [Interaction] > [Current Folder]	category on the outcome from the Start Step in our Flow . Then, we define Constant	Test Input	to send to our External Form. Finally, we connect the outcome from Simple External Form step to the End Step in our Flow . This completes our Flow . We can save the Flow and closeFlow Designer. 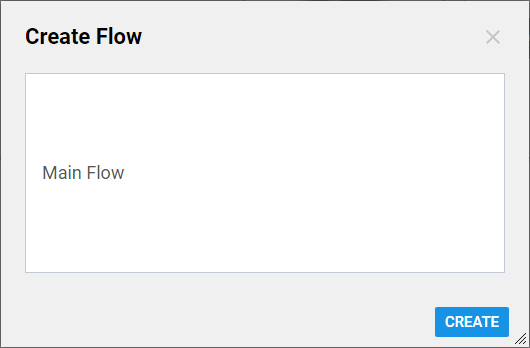 In the Designer Folder we locate our Flow and click Run Flow	from Action	menu on the thumbnail . …And this completes our Flow .